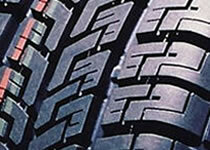 Robust tire shoulder tread pattern Jagged contours. Speed, safety and durability, and let's not forget, comfort. This is what summarises the key qualities of Comtrac, the new Vredestein van tire. 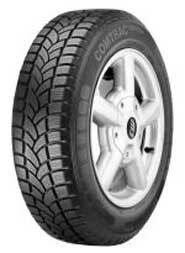 Comtrac was developed by Vredestein for the demand for tires which combine the usual features of passenger cars with the efficiency of commercial vehicles. The exceptional carcass structure incorporating a steel reinforcement strip ensures that the tire is well equipped for heavy-duty work. What's more, Comtrac not only performs much better, but it also offers excellent comfort and safety. The Vredestein Comtrac - a reliable, durable tyre with a modern look. The Comtrac Ice is designed for vans and features a durable carcass with steel reinforcement strips to ensure complete safety throughout its service life. 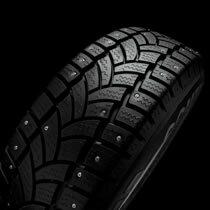 The combination of the unique tread, an advanced tread compound, and special studs minimises braking distance and ensures optimum acceleration on snow and ice. The Comtrac Ice uses a type of stud with a hard metal pin specially developed for Vredestein after many years of research. It not only greatly improves the tire’s performance, but it also reduces the risk of stud loss. With its two wide longitudinal grooves the directional tread, which is identical to that of the Comtrac Winter tire, optimises water dispersion to prevent aquaplaning. The Comtrac Winter has a directional tread which, in combination with two large circumferential grooves, ensures excellent water dispersion and prevents aquaplaning. The large number of zigzag sipes in the tread blocks are designed in such a way that the tyre easily shakes off mud and snow. In addition, this unique tread design with its special compound, provides for a shorter braking distance and improved acceleration in wintry conditions. The sturdy shoulder blocks play a crucial role when cornering, especially with heavier loads. Their special construction guarantees an optimal grip. 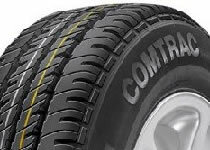 At the same time, the Comtrac Winter is a good-looking tyre, designed to meet the increasing aesthetic demand from owners of modern delivery vans. The Quatrac 2 is a tire for all seasons. The use of Silica Solution II in the tread ensures that the Quatrac 2 deals effortlessly with all weather conditions and every type of road surface. Whether it’s a stifling hot summers day, one of those autumnal periods when it never seems to stop raining, or when your path seems blocked by snow in wintertime, the Quatrac 2 will always get you to where you want to be. And this tire is also a treat for the eyes, with an appearance that emphasises its flexible, dynamic and sporty character. Thanks to its high levels of Silica Solution II, the Snowtrac gets a firm grip on all wet, snowy and icy roads. 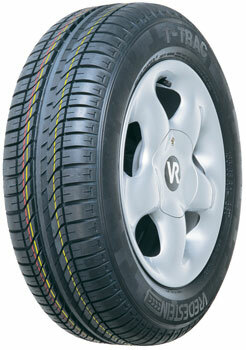 In addition, this genuine winter tire (capable of speeds up to 118 mph/190 km/h) has a special directional tread pattern. A striking feature here is the angled lateral tread blocks. These easily shake off clinging snow, thus ensuring a snowfree tread. The many wafer-thin grooves in the tread profile, the so-called sipes, have been extended due to their wave form. This provides excellent stability when accelerating and braking. The T-Trac is an ideal all-round tire and not only because it fits nearly every type of car. Thanks to a number of remarkable characteristics, the T-Trac is also the height of safety and reliability. This can largely be attributed to its Safety Tracer Action Ring: a fully round, flexible ring around the tire, created by two deep parallel circumferential grooves. These guarantee maximum driving stability whilst dramatically reducing the chances of aquaplaning.